The USNA Junior Leadership Program, for youths 13-15, is a half day. Dates for the July and August sessions for 2019 will be Saturday, July 20 and Saturday, August 10. Reservations accepted beginning April 1, 2019. 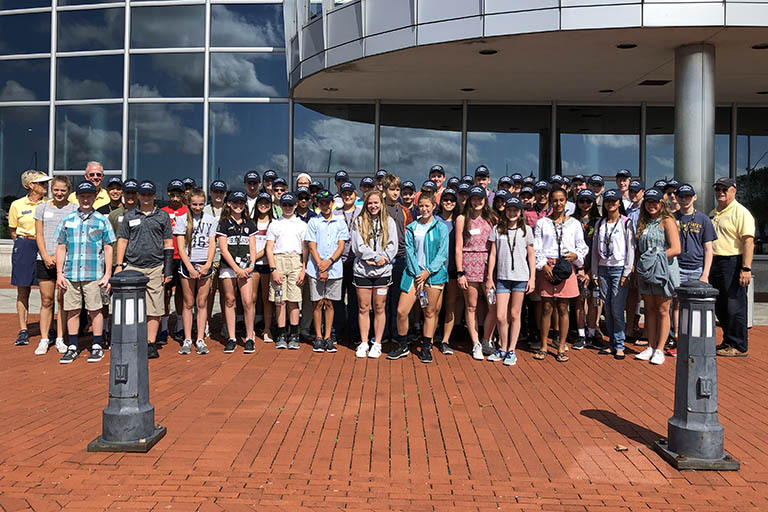 When the program ends at 1:00 p.m. plan on adding to your Naval Academy experience by having lunch at the Drydock Restaurant in Dahlgren Hall and then attending an Admissions briefing at 2:00 p.m. on the second deck of the Visitor Center. The briefing will last about one hour, which allows you time to return to the USNA Museum until 5:00 p.m. to enjoy exhibits on Navy and Naval Academy history. On the second deck of the museum is a world-renowned exhibit of model ships you won’t want to miss. For more information and holiday closings, visit the Admissions website. For more information, visit the USNA Museum website. Time: 8:30 a.m. – 1:00 p.m.